To mark the release of The Guernsey Literary and Potato Peel Society on 27th August, we’ve been given 1 copy to give away on Blu-ray. 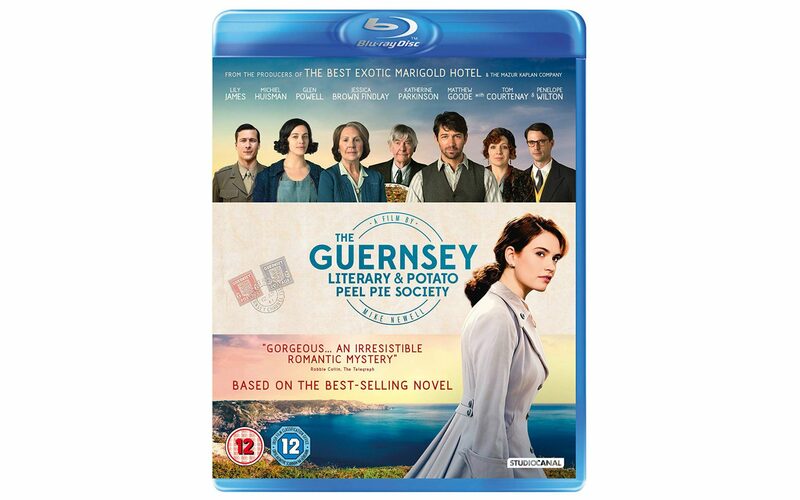 Lily James plays free-spirited writer Juliet Ashton, who forms a life-changing bond with the delightful and eccentric Guernsey Literary and Potato Peel Pie Society, when she decides to write about the book club they formed during the occupation of Guernsey in WWII. The film also stars Glen Powell (Everybody Wants Some, Hidden Figures), Matthew Goode (The Imitation Game, Downton Abbey), Jessica Brown Findlay (Victor Frankenstein, Downton Abbey) and Katherine Parkinson (The IT Crowd, The Boat That Rocked) with Tom Courtenay (45 Years, Doctor Zhivago) and Penelope Wilton (The BFG, The Best Exotic Marigold Hotel). To coincide with GDPR regulations, competition entry information will not be stored once the competition has ended and the winners have been chosen and prizes sent out.